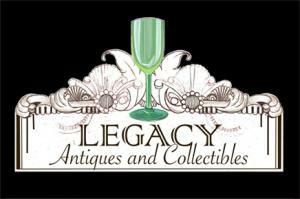 Legacy Antiques and Collectibles was first established in Bath in 2005, although my interest in antiques and collectibles goes back to early childhood. Legacy stocks a wide range of collectibles, varying from royalty memorabilia to ceramics and fine glassware spanning over two centuries. My main passion is glass, although I have a wide range of other interests. This is reflected in the diversity of items within the shop.